In the battle for your rights, we fight for you. 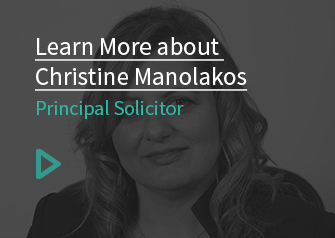 From consulting with you about the next steps to take, to preparing your case and appearing on your behalf across all Sydney courts, one of CM Lawyers solicitors will represent you to achieve the best possible outcome for your situation. We can appear on your behalf in court, at tribunal, or during mediation meetings as per your case requirements, offering advice so that you are fully informed of the nature of your case and to ensure that proper instructions are followed to drive maximum results. Through the FDR process, either party listens to each other’s point of view without interruption, identifying those issues which need to be resolved, before sharing, exploring and testing ideas, options and possible solutions to resolve the disputes in relation to the child. From constructive dialogue, decisions and agreements are formulated and put in writing. If no settlement is able to be reached with your former partner outside of court, our team of solicitors at CM Lawyers have the experience required to prepare the matter for a final hearing with the view to a successful outcome for you and your family. While many married couples endeavour to resolve their separation through Family Dispute Resolution with Relationships Australia, this isn’t always possible given the circumstances. If you need to separate from your partner for any reason through the courts, we are able to provide sound advice and strong legal representation to ensure your secure independence. During a divorce or marriage breakdown, the child or children of the relationship should be given priority to weather the inevitably trauma and stress that it can cause. Short-term arrangements should be agreed to as early as possible to secure the child as much as possible in a rocky situation. For separating couples today, it can no longer be assumed that immediate custody will go to the mother of the child. The Family Law Act 1975 requires the court to regard the best interests of the child as the most important consideration. Make reasonable efforts to communicate with the other party (your spouse). In the event that parenting arrangements cannot be settled out of court, Family Law matters in NSW relating to child custody will need to be dealt with through the Family Law Court, the Federal Circuit Court or the Local Court. The court's objective is to ensure that children have the benefit of a meaningful relationship with both of their parents to the extent that it is in their best interests. Of equal concern to the courts is in protecting children from any physical or psychological harm that results from being subjected to abuse, neglect or family violence. And what parents need to do to change or vary orders. subjected to, or exposed to, abuse, neglect or family violence. Whether or not each parent agrees to engage the other in any significant decisions that may affect the life of the child. Received testimonies from witnesses such as relatives, teachers, doctors, neighbours and friends. Any comments the child has made about neglectful, inappropriate, alienating or abusive forms of parenting. Over the course of a marriage, assets are brought to the relationship and bought during the relationship as yours and your partners relationship becoming increasingly intertwined. So when the relationship breaks down, you and your partner need to come to some sort of settlement relating to the pre-relationships assets you either party walked into the relationship with; from property, to personal investments and business. The relevance of these assets to your overall resolution are considered in the context of the relationship, and the contributions that either party has made to the maintenance and development of these assets. From marriage to the breakdown of relationships, CM Lawyers can assist you in the transferral of property between family members. While all attempts to fairly divide your assets through a property settlement made on your behalf, not all matters are able to be resolved amicably or easily. If you do wish to take matters to court, our team of experienced family law solicitors will advise you on the best way to proceed. While the most common reasons for divorce relate to a lack of intimacy, unmet partner expectations, communication issues or a general drifting apart, there is an overwhelming proportion of more sinister reasons at work. If you find yourself or your children have fallen victim to the hands of an abusive, manipulative, or physically violent partner, there is a legal route you can take to protect yourself. From applying for a domestic violence order to restrain your partner from contact with you and your children, to submitting your request for a divorce, CM Lawyers can assist you with advice and sound legal representation to navigate the breakup battlefield. Living in an abusive household can be a dark and desperate place. But with the right legal representation, you can work to ensure your safety and the safety of your family. We can work on your behalf to obtain protection from the court in violent or abusive relationships. Speak to us today or fill out a confidential enquiry form to seek legal advice.